So after not a long time this thread is back! 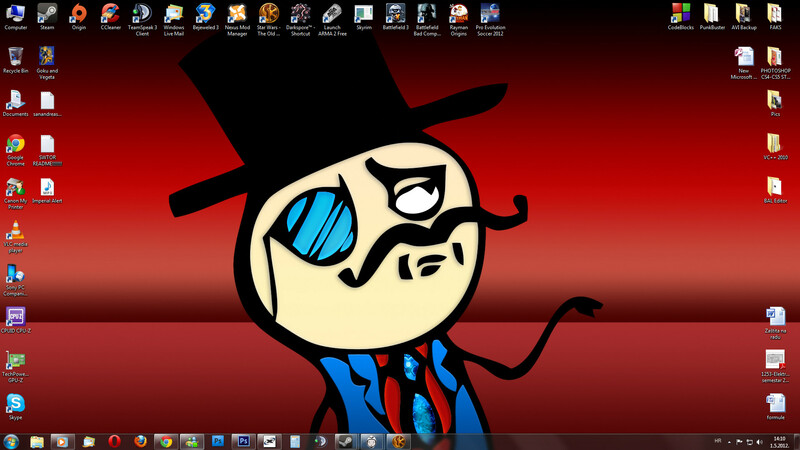 You know the drill, Post what your desktop looks like. You can post the source if you tend. I have a folder of wallpapers, and it cycles. This is what it happened to be on when I screenshotted. Great pic you have taken.